1941. Second lieutenant Ivushkin, who has just graduated from the tank academy, is dispatched on a suicidal mission -- with one T-34 tank and a small crew he must stop a dozen of top-notch German tanks from attacking a nearby city. Miraculously, he succeeds but gets captured. 1944: Ivushkin is confined in a concentration camp in Germany. When the Wehrmacht establishes a new training center for its elite armored forces using the latest T-34 as a running target. 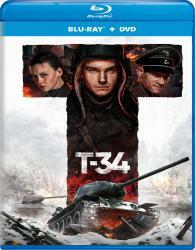 Ivushkin is offered to become the commander who operates the T-34 and pick his crew from fellow camp prisoners. He agrees only because he has a much bigger plan in mind -- a daring and carefully planned but also virtually impossible escape.